We’re serving up Central Texas barbecue with recipes exclusive to la Barbecue. Owner LeAnn Mueller hates the sweet stuff, so you’ll find special blends of salty and savory rubs, absolutely no sugar added to our coleslaw, and throwback dishes honoring LeAnn’s German relatives. Don’t forget the pickles! We <3 Bobby Mueller, and while our ‘cue honors his legacy, la Barbecue’s recipes are uniquely our own. Bobby liked it fast, but we cook our brisket low ‘n’ slow over Texas post oak for 14 to 16 hours. It’ll melt in your mouth! Forget about hormones and other crap in your meat. We source our beef from a local ranch, where it’s lovingly grass-fed and completely free of hormones. Trust us—you’ll taste the difference. And sure, our meat doesn’t need sauce slathered on top, but our sweet sauce pairs perfectly with the salty beef. 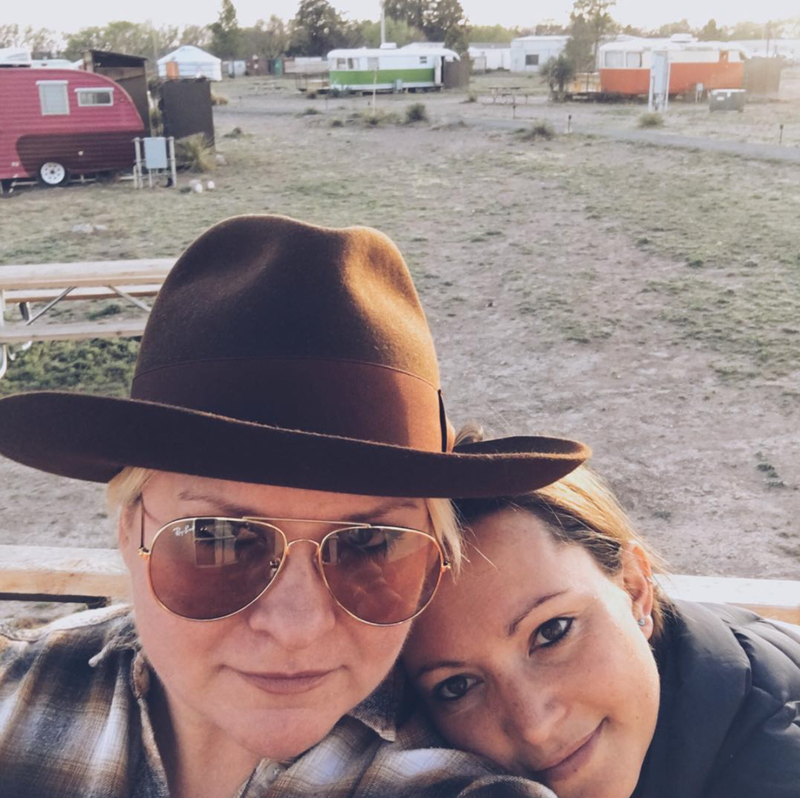 Like the badass bosses they are, LeAnn and her wife Ali run la Barbecue in East Austin. The couple splits their time between the Live Music Capital of the World and L.A. with their pups Lilly, Mr. Pickles, Louie, and Zoe. FOR MEDIA AND PR INQUIRIES ONLY!!! Please do not email about caterings or pre-orders.